No, your eyes are not deceiving you. 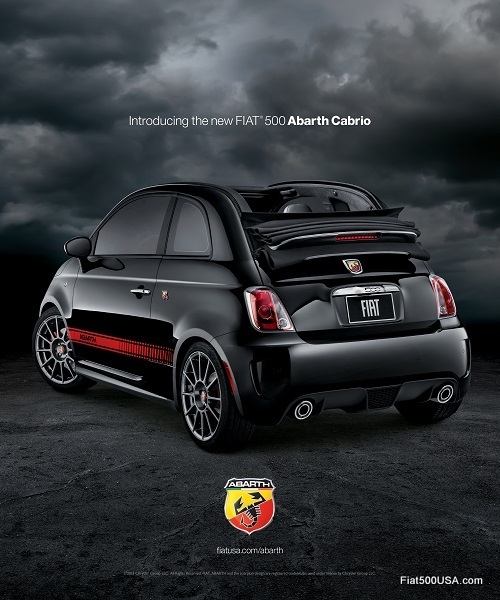 That Fiat 500 Abarth Cabrio is made of a dozen or so people! Fiat commissioned this striking ad called "Body Paint" to run in ESPN The Magazine’s Body Issue, which celebrates the beauty of the human form. Noted body painter Craig Tracy and a team of 30-40 people created this stunning example of Body Art which features a canvas made up of female artists, performers and models. "We wanted to create a concept for ESPN The Magazine's Body Issue that was as visually unique as the Fiat 500 Abarth Cabrio. 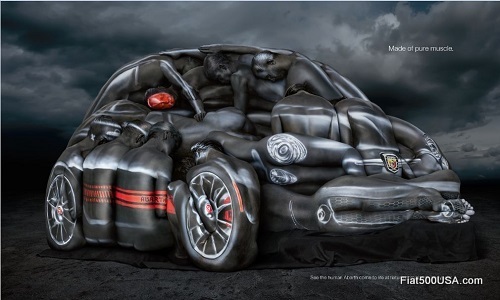 The notion of the 'Body Paint' print ad conveying athletic grace in a magazine that specifically devotes itself to covering athletes around the world sparked a perfect union for the FIAT Brand." Look for the July 22nd ESPN The Magazine's Body Issue on sale at newsstands today. Follow the link below to read more.